Happy Birthday to Tammi. Thursday is her birthday and the last of our July - August grouping. We'll be celebrating this one with cake and ice cream at our family reunion this weekend. The wedding is over and Terry is back on the west coast but travel wasn't as easy as he would have liked either going there or getting back. With full flights and last minute changes to get there, he was gritting his teeth on getting back. Three flights out of Roanoke to Charlotte on US Airways were either cancelled or downsized on Sunday. That was an excellent sign that Terry probably wouldn't be making any of the other flights to Charlotte on that airline. He knew it wasn't going to happen and after several hours at that airport it was time he brought in the big guns ….. that was ME. We’ve had way too much experience with cancelled flights to know what order and what priority people get any extra seats on planes. Sunday ... he was at the very bottom of that list. There was a time in his life when he was taken care of by the airlines. He was a Platinum Club flyer and a member of the Million Mile Club. However, that was in his former life … you know the one. It’s when he actually worked. This is one of the books I found at Powell’s Bookstore. It really isn’t just for graduates. There are 1001 great little tips for young adults and getting along in the real world. You can bet I bought a couple of these. I had a few people in mind to give them to. Monday was “rush around day” as we had lots of last minute things to get done, moved and packed up for our departure on Tuesday. Packing all the items we had purchased was interesting. Every empty spot was filled with something. Plus, I had a couple bales of hay, cartons of soda and other items we needed to take to Tammi’s. They’re taking the truck to the reunion. I figured there should be lots of room for my stuff too. We had a few stops to make in Longview. 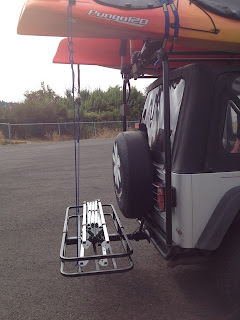 One was at Harbor Freight for a hitch rack which should certainly come in handy while boondocking. They were on sale and we certainly like to take advantage of sales. Another stop was at the Masthead Restaurant. If you haven’t had seafood chowder at Masthead, you haven’t had chowder. Their seafood chowder is AMAZING. Tuesday morning the frozen ribs, hamburger, buns and corn were unloaded from Sabrina’s freezer and stashed in our refrigerator for transport. Oh my! Thank goodness we also have a little refrigerator in the back for Terry’s soda. Out came the soda and in went the corn. Needless to say, we won’t be buying any groceries until we reach our reunion location. Hamburger meat for Friday night. We were on the road heading north by 10:00 but didn’t have far to go. Terry headed towards Centralia to the RV Service Center and I headed back to Longview. 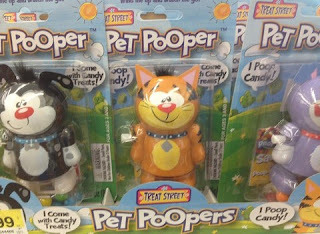 I decided to purchase those Pet Poopers for the reunion. After all, not everyone has something that poops candy! Someone will like them I’m sure. Arrival went just as planned. 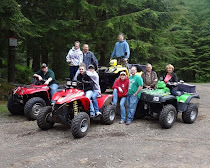 There were no problems, no detours, accidents or anything else that could have caused stress. It was a good, short drive. Once we were checked in and set up, it was off to the outlet malls just a few miles away. Sometimes outlets are great deals and other times not so much. This time there were some great deals. Our appointment was scheduled for 8:30 in the morning. We were hoping we’d get in early, get our leak fixed and be back on the road fairly early. Is that what happened? It sure wasn't. The culprit was the hot water heater. UPS is expected to deliver a new one Thursday around 11;00. Our fingers are crossed it gets here then or I might be finishing the trip to the reunion all by myself. We wanted a little problem. We don't always get what we want. Check out the SUV below. This SUV swerved to miss debris left on the roadway by a motorhome pulling a trailer. Items on the trailer weren’t secured enough to keep it from flying off on the roadway. Driver swerved and crashed into a semi. Passenger was killed. Here’s another motorhome action for you. 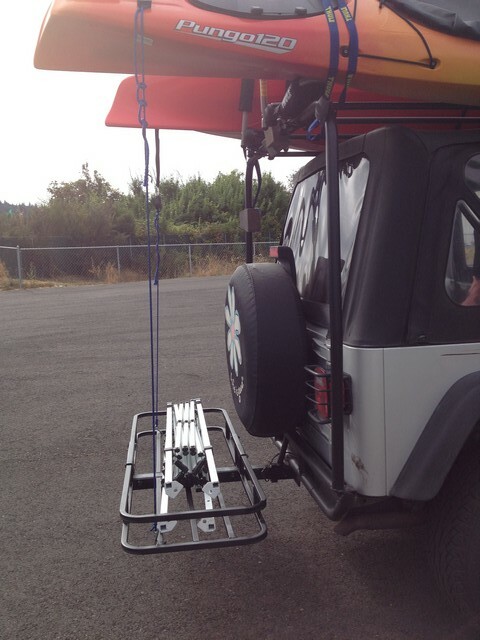 Driver was test driving a motorhome from a dealer close to Seattle and lost control. We once bought a house we didn't know someone had turned into a drive-in house. The only problems we had were one outlet wired wrong and a small leak in a basement wall we were able to repair ourselves. We have no idea how much repair work was done before we bought the house. Be careful out there, people. Fingers and everything else crossed that UPS gets that hot water heater to you pronto. Why is it that trying to go someplace gets so hard some times. That SUV is so messed up. How sad. Sure hope you have a great time at your reunion. I don't need my life on the road to be as exciting as those last two pictures! Enjoy your reunion. I take it that test driver won't be purchasing the motor home as it's now damaged!! You sure keep busy, wow! Boy, those last two pictures make you sit up and pay attention! Oh my...those last 2 pics are awful. You are gonna eat real real good by the looks of the freezer. Sure hope that water heater gets in today. I wouldn't want you to leave Terry behind and him miss the reunion. Busy times and so much going on, hope you get you new water heater installed on schedule. I can't believe all the stuff you guys have, wow, it would never fit in The Palms! Sounds like you are going to have tons of fun at the reunion. Those accident photos are terrible - they happen every day, but we don't usually see them. I wonder whose insurance paid for the RV damage? That's going to be quite a bill!